Is the Drop In Work Injuries Really What it Seems? According to the Wall Street Journal, the number of workplace injuries recorded by the federal government has declined dramatically, dropping by 31 percent in the past 10 years. This seems, at first glance, like great news for workers. 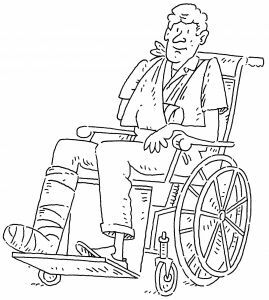 However, our Massachusetts workers’ compensation lawyers know that this decline in workplace injuries may not tell the whole story. In fact, the apparent reduction in workplace injuries may not have occurred because workplaces really are safer but instead may result from an increased fear of employer retaliation preventing employees from reporting injuries. If this is the case, workers need to be aware of the rules on employer retaliation and should seek legal help from an attorney who can protect their rights. Federal data has revealed not only a decline in workplace injuries in the public sector but also fewer reports of workers getting hurt in the private sector. In 2011, for example, there were 1.8 injuries per 100 full-time private sector workers that involved missed work, restrictions on job duties, or transfers to different jobs. This is down from 2.6 injuries per 100 workers in 2003. While these statistics purport to show that the work-injury rate is lower than ever across the board, other data belies this conclusion. The data that is cause for concern is the statistics showing 100 federal and state court cases involving retaliatory action for workers’ comp cases filed last year. This is roughly double the number of retaliation complaints reported a decade ago. Worker safety advocates have also expressed concern that many injuries are not being reported because of pressure from employers or employee’s fearing the consequences of a claim. For example, the Occupational Safety & Health Administration has toughened its stance on dealing with employers who have deterred employees from reporting work injury claims. OSHA not only reminded employers last year of federal prohibitions against retaliation, but also cautioned employers that they should neither offer bonuses nor prizes for meeting safety goals if the incentives are deterring workers from reporting when they get hurt on the job. Unions are also blaming retaliatory action on the part of employers for stifling the willingness of employees to report when they get hurt on the job. Unions have also long raised objections to the data showing a decline in workplace deaths, calling into question the federal government’s use of employer-reported information on injuries. Union leaders warn that employers don’t always report injuries even when they are aware an employee was hurt and have urged OSHA to crack down on employers and impose tougher regulations. OSHA has been more proactive in recent years, ordering Union Pacific Railroad Co. to pay more than $390,000 to a railroad conductor who was fired after reporting that an engineer had been injured because he banged his below on a steel arm wrest that was missing padding. The efforts of OSHA, however, may not be enough to ensure that all workers get the chance to report injury complaints and safety violations. In order for OSHA to do its job and in order for employers to be held accountable for harm that comes to employees,workers need to report every work injury and follow up if an employer doesn’t take the appropriate action with injury reports. Workers also need to get help if an employer does try to retaliate, not only so the worker can protect his job and income but also so the employer doesn’t get away with this abusive behavior.